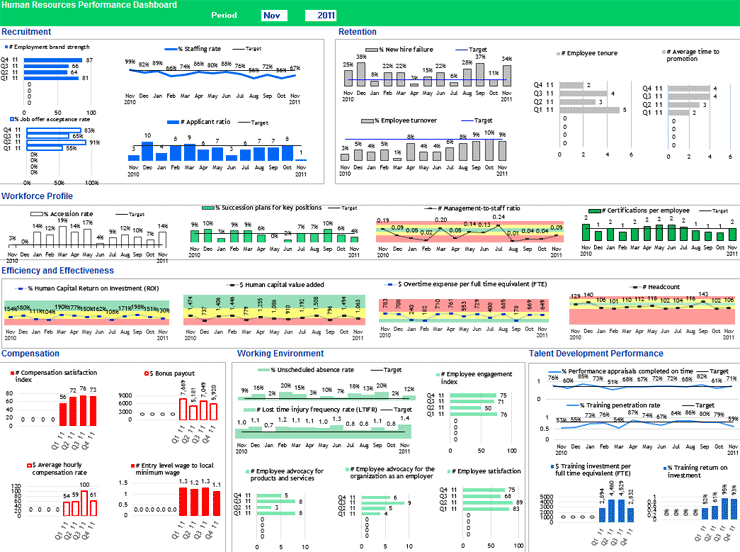 The HR Performance Management System Toolkit is a ready-to-use collection of pre-populated templates for managing performance of the HR department and monitoring its contribution to the overall organizational performance. 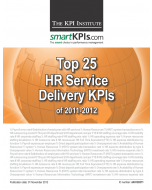 The toolkit provides the instrumentary needed to put in place a sound and comprehensive HR performance management and measurement system. 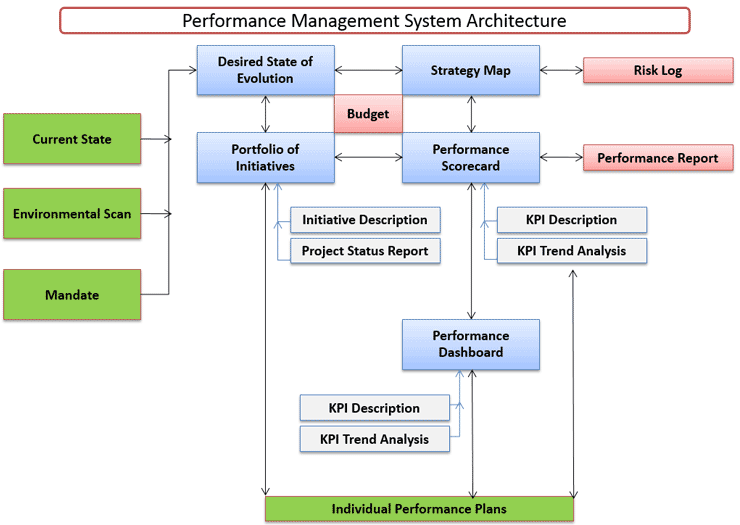 HR Performance Management System Architecture - a visual snapshot of the overall system for managing and measuring HR performance, including the system tools and processes and the connections between them. 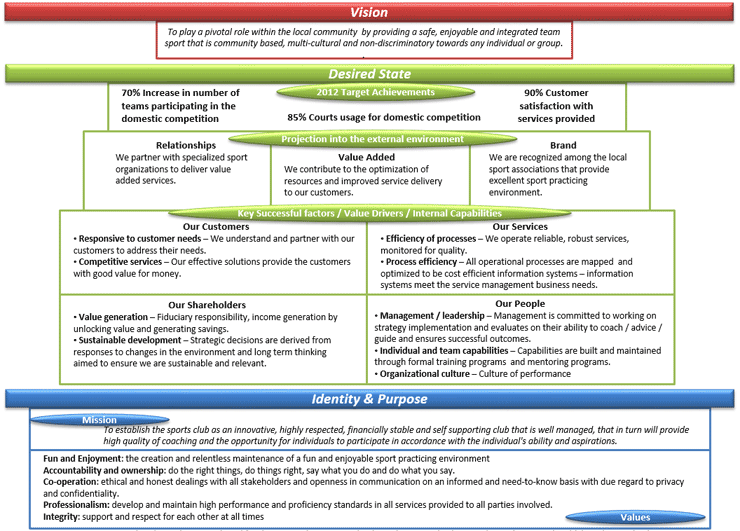 Human Resources Department Desired State of Evolution - the visual representation of the HR department's desired evolution for the following 3 to 5 years, in terms of mission, vision, targets, values and value drivers, with its three levels: Purpose & Identity, Desired State and Vision Statement. 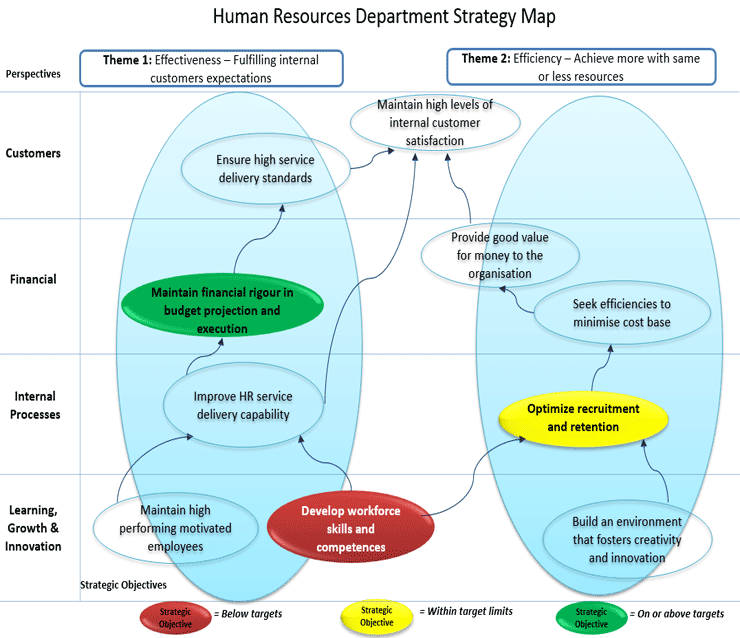 Human Resources Department Strategy Map - the mapping of the Human Resources department (annual) objectives and the relations between them, grouped by the four Balanced Scorecard perspectives. 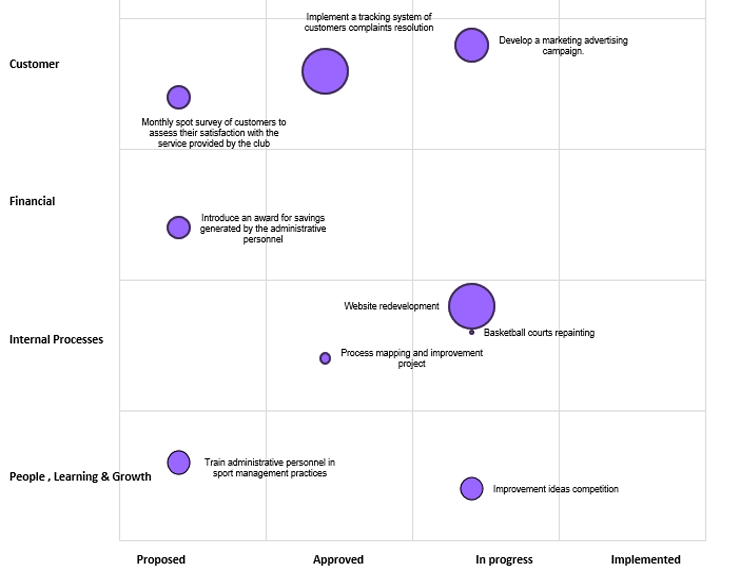 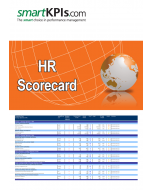 Human Resources Performance Scorecard - the collection of the most important HR KPIs for the Human Resources department, derived from the objectives in the HR Strategy Map, also grouped by the BSC perspectives. 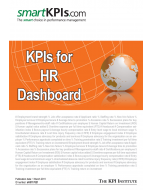 Human Resources Performance Dashboard - the repository of the most relevant KPIs that reflect HR department contribution to the overall organizational performance. 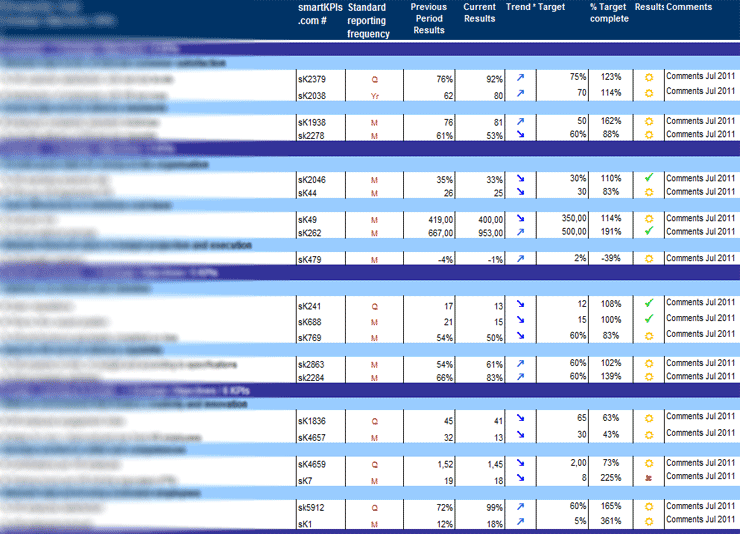 Human Resources Department Portfolio of Initiatives - the collection of the initiatives conducted by the Human Resources department, reflecting the objective the initiative responds to, the status of each initiative, the person responsible, budget allocated, start and end date and other similar data. 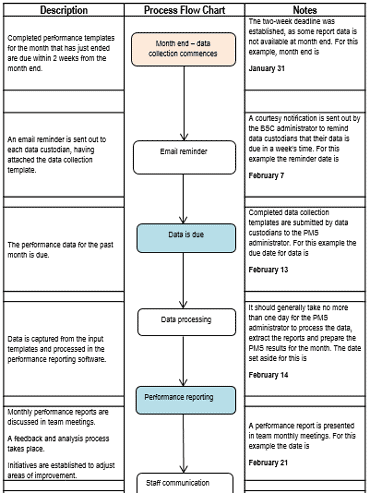 Monthly HR Performance Management Process - the representation of the flow within the monthly performance management process, including actions such as data collection, completion of the performance reports, communication of the performance results, performance review meetings and establishment of performance improvement initiatives. 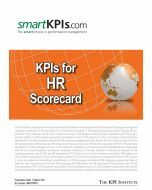 HR KPIs for Dashboard and Scorecard - contains the collection of all KPIs included in the HR Performance Scorecard and HR Performance Dashboard, available in pdf format, integrally documented according to smartKPIs.com documentation standards and template. 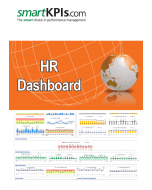 Buy now the HR Performance Management System Toolkit and benefit of this valuable resource immediately by downloading it electronically upon checkout!